Bluegrass Pundit: White House Pushes FOX News Ratings Up 8%. Thanks, President Obama. Now more Americans will learn the news your state controlled media won't report. 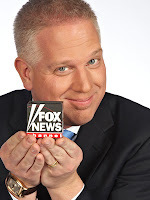 http://www.lastingliberty.com today has a good article about this today: “Fox News Obama’s Only Friend”. The author makes a great point. Wow thats the kewlest thing I ever seen dude! "If anything, the Obama administration has succeeded in reinforcing Fox News' identity as a thorn in the side of the establishment -- a role the network loves to play." LOL. Except when the establishment is the party that you agree with right? Remember that fox news was dubya's favorite channel and there's a reason for that: he got a really lightweight treatment there. You can respond by telling me how you AGREED with the bush administration and how it was good for fox news to treat him the way they did just because, again, you agreed with him/them but then you have to recognise that you can't make a statement like the one above. If you really cared to see the truth you'll see that the media in the US is _fucked up_ all stations tell you what you want to hear and what is profitable to them. If you are from the right you watch fox news, if you're a liberal msnbc, none of it will be the whole picture or the truth.